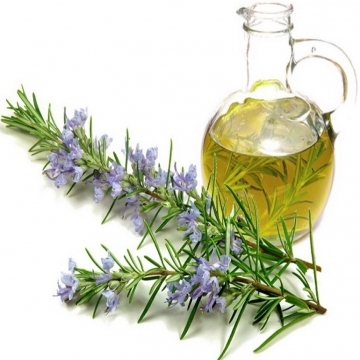 Rosemary essential oil is a steam-distilled oil taken from the flowering plant. But much stronger than the plant, very herbaceous, and woody with "evergreen undertones". It's said to affect the immune system, respiratory system, and nervous system, as well as other benefits and uses. In addition to its many physical properties, rosemary is also said to have an effect on the memory, opening the conscious mind, and assisting in learning.